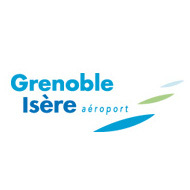 Grenoble-Isere airport is 40km northwest of Grenoble city and is situated in the middle of the Rhone-Alpes region. This makes it a good location for access to all areas of the French Alps. It was originally built to provide effective transport links for the 1968 Winter Olympics. In October 2002 a new terminal building was opened with a €7.8 million investment from the regional council. Grenoble airport has a restaurant and lounge, snack bar, newsagent and duty-free shopping. Easyjet, Jet2 and Aurigny all fly here from the UK. Transfer times are good for most ski resorts, with easy access to the local motorways meaning the distance can be covered much more quickly.